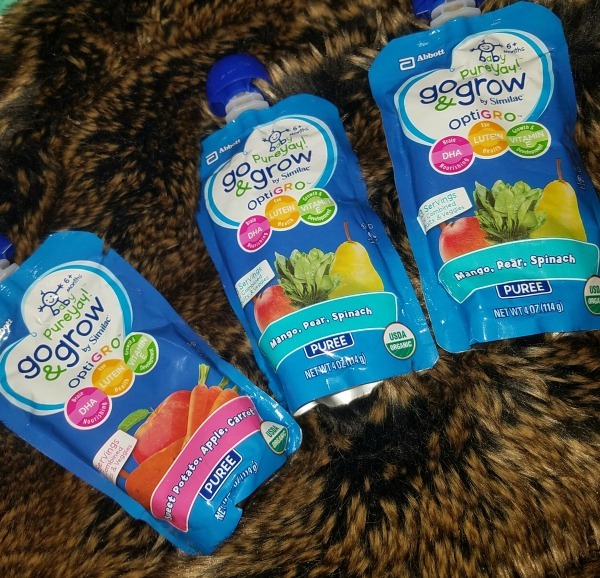 Go & Grow by Similac pouches are available at Walmart. It is a great grab and go meal for your baby and toddler. My daughter is 9 months old and is starting to enjoy pouches. I have to help her understand how to squeeze the pouch. Up until this point I have been using a spoon for the baby food. I like that the pouches are USDA organic and easy to pack into the diaper bag. I use them around the home too. They come in a great variety of fruit and veggie blends. I think my daughter likes the sweet potato, Apple, Carrot blend the best. 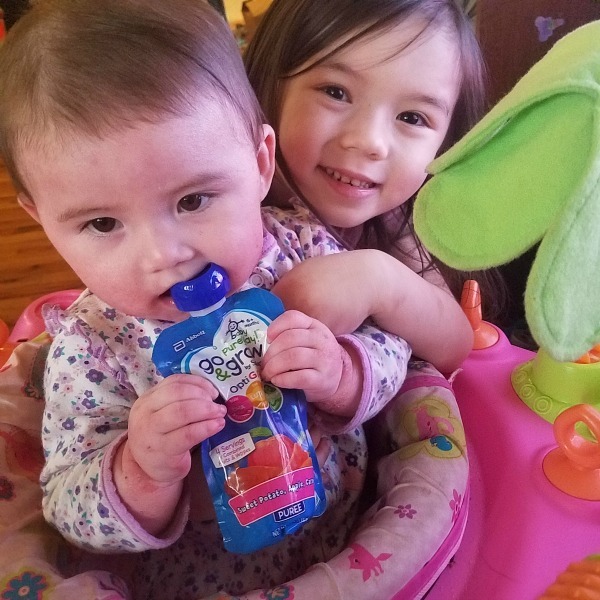 Only Similac has OptiGRO which is a unique blend of DHA, Lutein, and Vitamin E this helps with overall growth. 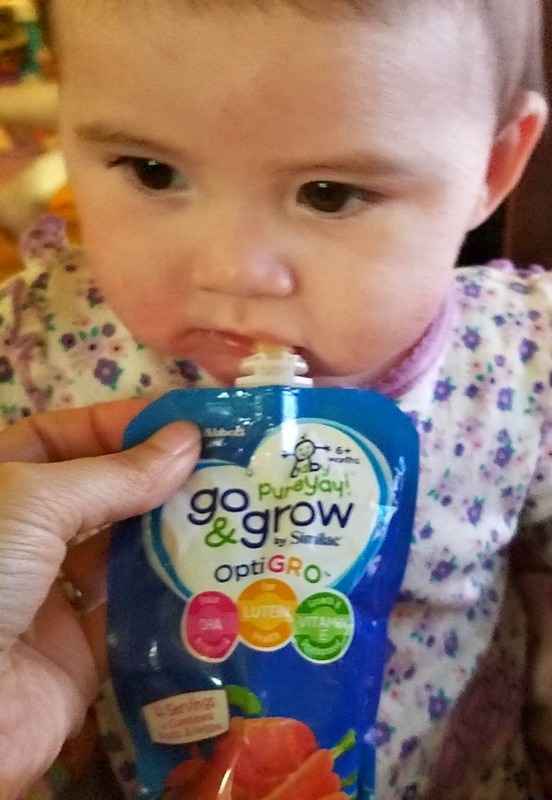 Find Go & Grow by Similac pouches at Walmart. You can use Ibotta coupon for .50 cents off. There is also a wonderful giveaway going on from SheSpeaks. My daughter Sadie holding the pouch before the cap even came off. She is teething, so everything is going in the mouth. We are still discovering new flavors but she is excited about getting food. I feel confident in handing over the pouches knowing they are non-GMO. They are perfect for beaches, parks, and traveling. If you can't find them at your local store then check out Walmart's website too.